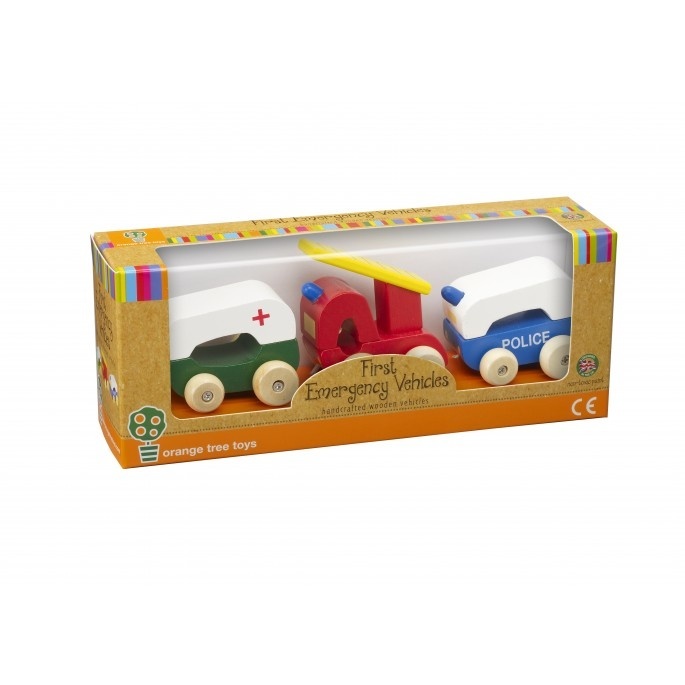 This set of wooden toy vehicles, has a little wooden fire engine, police car and ambulance. 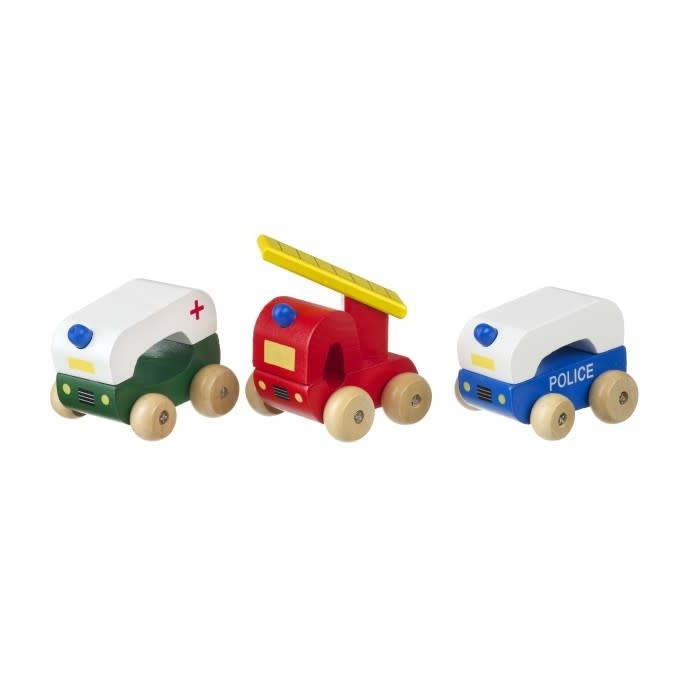 A delightful set of three traditional wooden toy Emergency Vehicles, featuring a police car, a fire engine and an ambulance. They are all brightly coloured in red, blue, yellow and green and are ideal for little hands to grasp and hold.